Their Friendship Could Survive Anything... Except Each Other! Two of Hollywood's hottest comic actors have just become the wildest partners-in-crime to ever hit the streets of LA! 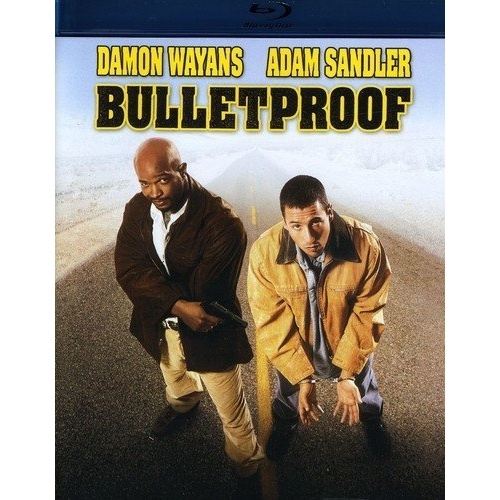 Damon Wayans and Adam Sandler star in the hilarious saga of a cop, a crook and a beautiful friendship gone sour. Once inseparable pals, Archie Moses and Rock Keats find themselves on opposite sides of the law, each feeling betrayed by the other. In fact, the only person who hates them more than they hate each other is ruthless drug kingpin Frank Colton, who wants to put them both six feet under! Now, through a strange twist of fate, moses and Keats are on the run- together. With a little luck, the bungling boys just might get out of this one alive...if they don't kill each other first!